You cannot make a move without a tachograph – anyone who has experience with heavy transport knows this. How to deal with failures? What to do when such an incident happens on the road? What if the problem appears in the headquarters? What steps should be taken and by whom? Tachograph failures do not happen often, but when they do occur, they cause a lot of trouble. The tachograph is the most important device in the driver’s cabin because it records all events, such as driving time, rests or other work. EU Regulation No 165/2014 indicate who should remove the fault. This document contains all the necessary information and exact instructions on how to behave during a breakdown. According to the Regulation, it is the transport company that is responsible for removing the defect. Of course, the owner or mechanic cannot do it alone. Repair is only possible by an approved fitter or workshop. The clock is ticking – how long does it take to fix the failure? The company has 7 days to repair a faulty tachograph. However, the question arises: since when? From the moment when the fault appears? After all, the driver is not always aware that something happened to the device. Article 37 of the Regulation states specifically that the company has to repair it within 7 days „from the detection of a malfunction.” So in the case of a basic fault (ejecting a tachograph card, a message on the screen or even the inability to use the tachograph), the matter is clear. From the moment when the driver has the opportunity to discover the failure, the time starts to count. It is important, however, that in the case of a week’s rest, the driver will notice it on Monday morning, because during this time he did not use the tachograph. 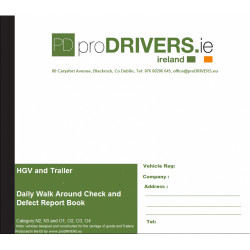 In the case of hidden defects (problems with data recording, sensor failures) the defect will only be detected by the company’s control or data collection from the card or tachograph after returning to the base. That is of course if there was no such message on the screen before. The driver should keep in mind that an error message displayed on the screen is automatically recorded in the memory of a tachograph. So when the driver presses the „ok” button, the message will disappear, but during the inspection, the relevant authorities will receive the information about the failure. When a failure occurs during the stay on the premises, the situation is simple: since the diagnosis, the company has 7 days to repair the device. The vehicle is directed to an approved workshop. But what should a driver do when the fault appears en route? If the problem occurs on the road, the procedure is very similar. Namely, removal of the failure within 7 days from the time of its detection is necessary. In this case, however, two solutions are available: if the driver is sure that during this time he will be able to reach the base and perform the repair there, he should continue the route. If the return is not possible, he should contact the nearest approved workshop and repair the device there. If the driver decides to continue the route, he is obliged to write the following information on the sheets or temporary charts: – identification data (name and surname, driver’s license number and driver’s card) – information for the various periods of time which are no longer recorded or printed out correctly by the tachograph – signature. Tachographs installed after 2012 have more protections (dual vehicle motion detection system), so there may be more messages and defects. Particular attention should be paid to “motion sensor error” or “data integrity impairment”. Such events suggest problems with the motion sensor, and thus recording the activity of the driver (driving). Such defects should be removed as soon as possible. In case of tachograph failure, drivers should record manually their driving time, work and rests to avoid the accusation of non-registration of activity, which is associated with the highest penalties. Another problem may be unclear or incorrect messages about “extended working/driving time” or disturbed rest. New tachographs analyze the driver working times and rest periods. 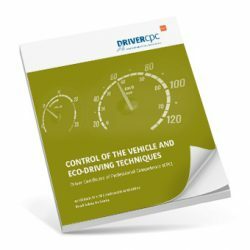 The tachograph constantly checks whether the standards set out in EU regulations have been exceeded. It is worth noting, however, that the algorithms embedded in tachographs are not always fully compliant with the guidelines or principles of analysis in more complex situations. Some tachographs consider the period recorded as “disposition” at a stop to be a correct break. The same instruction is then recorded as working time and as a result, they report a work violation. Contrary to the regulations, some tachographs consider the layout of divided breaks of 20 and 25 minutes to be correct – which is not true (45 minutes in total, but the second part must be a minimum of 30 minutes and here an error of analysis occurs). At first glance, these improvements are supposed to facilitate the work of a driver. In reality, they sometimes complicate things, especially when due to a wrong message, the tachograph refuses to work. Despite the manual verification in print, often the driver trusts the „artificial intelligence” more than his own knowledge and experience. Such situations are not a failure of the tachograph – it is worth to verify such messages, i.e. by analyzing the print-time of work. The tachograph, even if it displays the message „suggesting” a problem with working time, will not in any way block the possibility of further driving. If the knowledgeable driver recognizes that the tachograph has made a wrong analysis, he can and should ignore it and continue working. That is why it is so important to take care of the high level of training of drivers. Nothing can replace the knowledge and experience of a professionally trained driver.